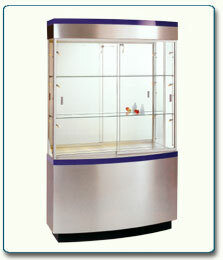 This museum display case is not only ideal for museum displays, but for retail displays as well. It features 2 adjustable tempered glass shelves with halogen top lights. You'll appreciate the locking, sliding doors that offer ease of use and security. Available in all standard finishes. Custom finishes also available upon request.